We just finished playing Santa. 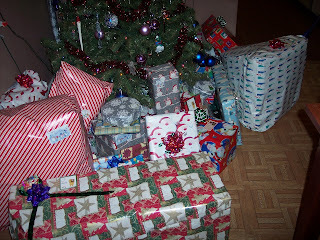 Here's our phat loot as of 12:13AM (MERRY CHRISTMAS!!). Post pictures coming in the morning.